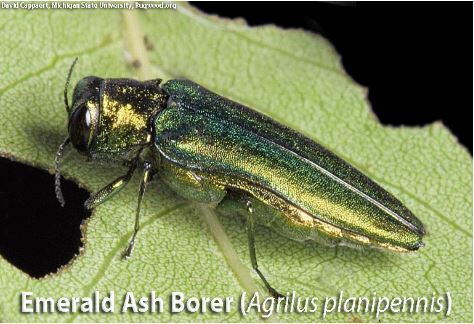 Emerald Ash Borers are threatening the ash trees in the state of Connecticut. 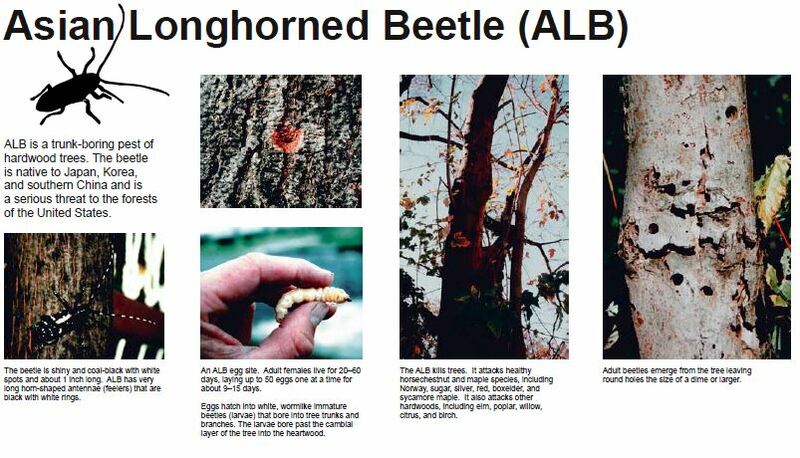 Ash, a sturdy wood popular in firewood, baseball bats and furniture, represents 4 percent to 15 percent of the state’s forests and 2 percent to 3 percent of the trees in urban areas, the Connecticut Agriculture Experiment Station said in a release. www.ct.gov/caes/eab<http://www.ct.gov/caes/eab> . This map is updated as new detections are made. As the most recent map shows, EAB was found in Tolland county, making Windham county currently the only part of CT where this pest has not yet been detected.